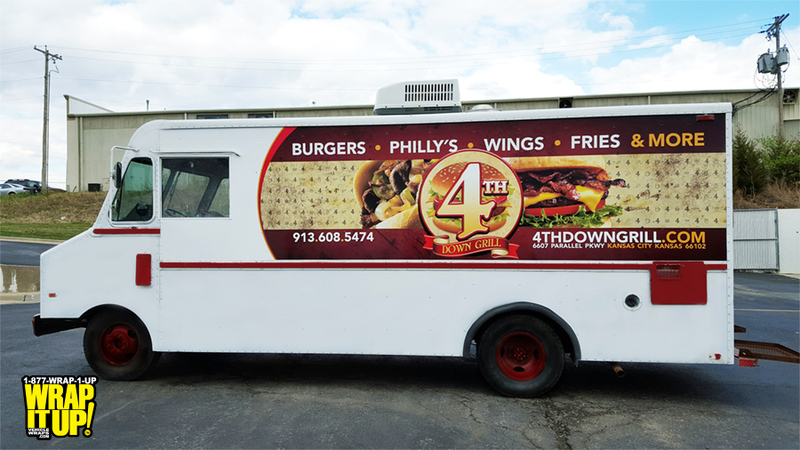 Check out this Food Truck Wrap for 4th Down Grill. This band wrap turned out great. We always encourage wrapping the entire vehicle for maximum impact, but we are always pleased when these partial wraps turn out amazing. Be on the look out for 4th Down Grill they should be hitting the streets of Kansas City in the near future. Thanks 4th Down!